Eschatology is the area of theology that deals with the ‘last things’, the ‘eschata’. Unfortunately, the ‘last things’ has come to be viewed in very narrow terms: the antichrist, judgement day, heaven and hell. But as an area of theology it is much more profound than this. It is unfortunate that eschatology is often viewed purely in terms of hell and judgement – when ultimately it is positive: it is, after all, the fulfilment of God’s promises and as such, it is what all Christians are to look forward to. To understand eschatology we must begin not with the ‘last things’, but with the past. If eschatology is ultimately the coming of the Kingdom of God, then we must begin with the gospels, in which Christ proclaims that the Kingdom has arrived. This is illustrated in the miracles and exorcisms which Christ wrought. The kingdom of death and sickness was overthrown. And yet, Christ also speaks of a kingdom to come. He speaks also of His second coming and the last judgement. Herein lies the paradox of the Church in its eschatological dimension: the Kingdom of God has already arrived, and still it is yet to come. This is the basis of our understanding of the Church, of the Kingdom of God, of heaven and hell. The Church is, in the words of Fr George Florovsky, “the image of eternity in time”. Thus it lives both in this age and in the age to come. 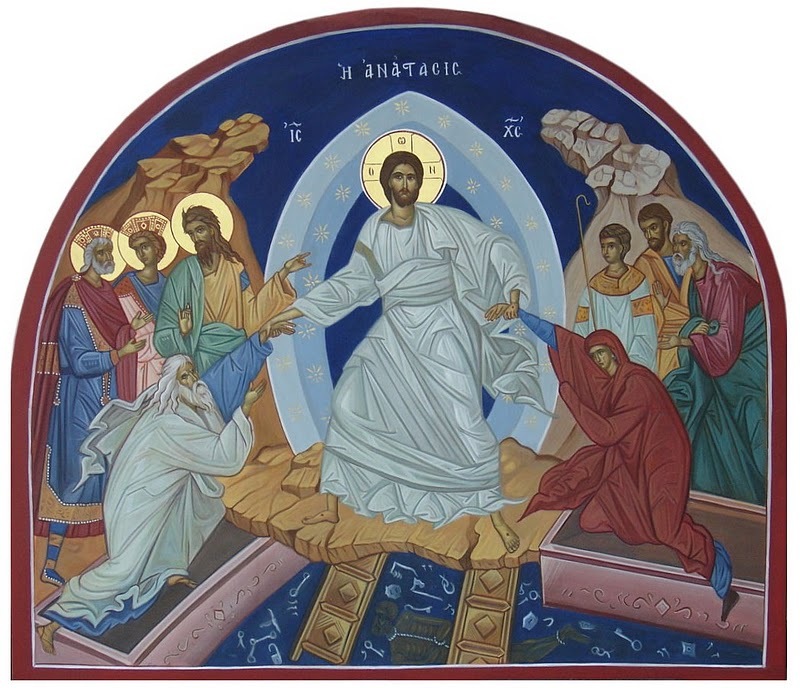 The “eschatological” dimension of the Church begins with Christ’s Resurrection. This was the beginning of the end. The early Christians spoke of their living in “the last days”, not because they simply got it wrong, but because they understood that the age to come had already broken through in this present age because Christ had already raised human nature into the heights of heaven by His Resurrection and Ascension, and promised to return in glory. Eternal heaven and eternal hell are the consummation of our relationship with God here and now. Thus heaven and hell are not two different places. They instead signify two different ways of experiencing the “uncreated energies” of God. Or, more precisely, they are the same experience, except that they are perceived differently by man, depending on man’s internal state. From the moment of His Second Coming, through eternity, all people will be seeing Christ in His uncreated light. As we read in the Gospels, “The hour is coming, and now is the time, when all that are in the graves shall hear his voice, and shall come forth; they that have done good, unto the resurrection of life; and they that have done evil, unto the resurrection of damnation. On 5:28-29). In the presence of Christ, mankind will be separated as sheep are separated from the goats, to His right and His left. In other words, they will be discerned in two separate groups: those who will be looking upon Christ as Paradise and those who will be looking upon Christ as hell. Consequently, Paradise and hell are not a reward or a punishment, but the way that we individually experience the sight of Christ, depending on the condition of our heart. God does not punish in essence, although, for educative purposes, the Scripture does mention punishment. We must bear in mind that in scripture Christ and the authors of the scriptures use allegories and images to convey things that are otherwise incomprehensible. Thus we have images of fire, of light, of torment. But these are not to be taken too literally. These are simply the means by which we can grasp the incredible joy or incredible pain of the realities of heaven and hell. The notion of hell is something that many people, including some Christians, reject as incompatible with Christian belief in a loving and forgiving God. But this displays a perilous confusion of thought. Love is free, and since we are free to love God or to hate Him, the realities of this choice must also exist, and those realities we call heaven and hell. To reject hell is to reject the belief that we are free to choose whether to love God, or at best, it is to reject that hating God has any consequences: all the benefits of religion and none of the cost. Is the rejection of hell not the greatest example of wishful thinking the world has ever seen? If it is true that God is the source of eternal life, then is the rejection of God not eternal death? But if it is true that heaven and hell are not, as in paganism, simply places of reward or punishment, but the experience of the one eternal God, then surely heaven and hell must be eternal, for heaven and hell are in fact God Himself. This is why we believe in eternal hell: it is not because we relish in the thought of eternal punishment. After all, however evil people may be, eternal punishment far outweighs the crime! But it is precisely this idea of punishment that we must get away from. Heaven and hell are eternal relationships with God. Since God has no end, then heaven and hell can have no end. Now, if heaven and hell are two different experiences of God’s love, then it is no coincidence that the criterion for our ‘judgement’ is also love. On Meatfare Sunday, we hear Christ tell us how we will be judged: by whether we have fed the hungry, clothed the naked, visited the sick and imprisoned, welcomed strangers. Christ says that inasmuch as you showed love to others, you showed love to me. Here we see the principle of God’s co-suffering love. Christ identifies Himself with every human being. If we treat others badly, we treat Christ badly; if we treat others well, we treat Christ well. Another parable of the judgement is given again in the gospels in the parable of the rich man and the poor Lazarus. The rich man lives sumptuously and ignores the poor Lazarus living on the street, starving and suffering. Both die, and the rich man ends up in hell, and Lazarus in heaven. The rich man too would have been where Lazarus is not by being poor, but by sharing his wealth with the poor. What happens in the day of judgement is all our sins will be revealed and we will perceive within us the real nature of our deeds and the condition of our heart. It is as though, if we are today living blissfully unaware of just what rotten people we are, all of a sudden we will recognise what we are really like and what we have really done, and the pain of that realisation is our hell. This is why the Church teaches that there is no salvation without repentance. It is only by acknowledging our true selves and all the sins that separate us from God and turning to Him for forgiveness that we can be spared the horror of finally meeting the brilliant radiance of God’s goodness face to face. People speak as though meeting God, meeting absolute goodness, would be a lovely thing. They need to think again. To meet the ultimate good only to find that we are His enemy, that we have hated Him, that we have rejected Him, would be terror. 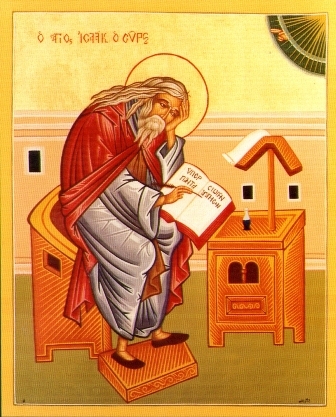 St Nicodemos of the Holy Mountain explained this by describing God as fire. To those who approach the fire with fear, love and respect, it gives light and warmth; but to those who approach it carelessly, it is a scorching flame. Thus it stands to reason that the Church teaches that there is no repentance after death. As I said, heaven and hell are the consummation, fulfilment and realisation of our love or lack of love for God and neighbour. Surely, on the day of judgement or in hell, repentance would be all too easy. Who would not admit he was wrong before the glory of God Himself or in the midst of hellish torments? But again this is to think in childish and simplified terms. The unrepentant heart cannot experience God’s love as anything else other than a tormenting presence that it wants to escape from but cannot, because God is everywhere and everlasting. Repentance is not a case of admitting you were wrong because now God is here in front of you and showed you the reality you ignored all your life, as though repentance is simply a way of escaping the unpleasant reality of hell. Love is not about happiness or misery, and so we cannot repent simply because we want to be happy or do not want to be miserable. Love is about truly wanting the person we are with, and their presence and embrace being the source of our joy. For those who hate God, this eternal and omnipresent embrace of God is torture, and thus they will experience that love as eternal torment. Consequently, the ﬁre of hell has nothing in common with the Roman Catholic doctrine of “purgatory,” – it is not a created fire, nor is it a purifying one which people must go through to ‘atone’ for their sins. This view has been utterly rejected by Orthodoxy. Hell is God Himself no less than Heaven is God Himself, and whether we experience the one or the other depends on whether we want God’s love or hate it. One of the seven angels… came and said to me, “Come, I will show you the bride, the wife of the Lamb.” And he carried me away in the Spirit to a mountain great and high, and showed me the Holy City, the new Jerusalem, coming down out of heaven from God. It shone with the glory of God, and its brilliance was like that of a very precious jewel, like a jasper, clear as crystal. I did not see a temple in the city, because the Lord God Almighty and the Lamb are its temple. The city does not need the sun or the moon to shine on it, for the glory of God gives it light, and the Lamb is its lamp. The nations will walk by its light, and the kings of the earth will bring their splendor into it. On no day will its gates ever be shut, for there will be no night there. The glory and honor of the nations will be brought into it. “Behold, I am coming soon! My reward is with me, and I will give to each person according to what they have done. I am the Alpha and the Omega, the First and the Last, the Beginning and the End. The Spirit and the bride say, “Come!” And let the one who hears say, “Come!” Let the one who is thirsty come; and whoever desires, let him take the water of life freely. Blog readers may be interested in Fr. Vassilios’ lecture series entitled “Lessons in Orthodox Faith & Theology” which can be listened to here.